In 1942, the corvette HMCS Quesnel was in a storm off the Queen Charlotte Islands in the Hecate Strait. The CO took the ship into the shelter of Alert Bay, where, while there, a few crew went ashore. 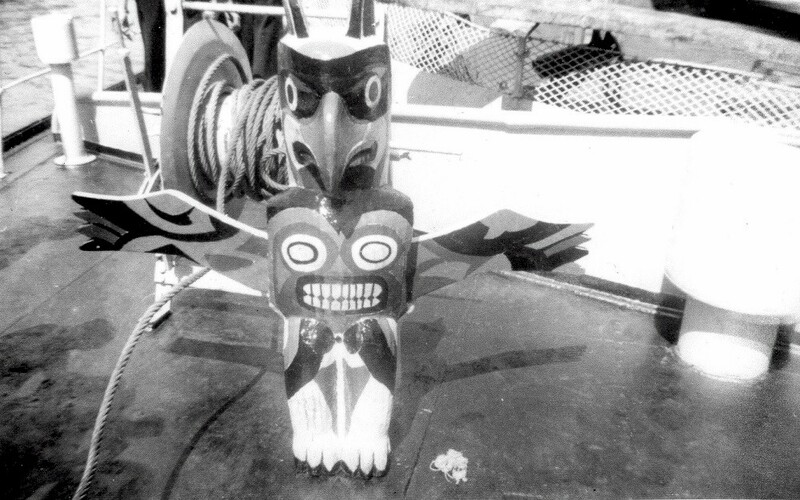 When they returned, they had a Thunderbird totem pole which they had "acquired" from a local cemetery. The Thunderbird was in rough shape, worm-holed and the wings were missing. 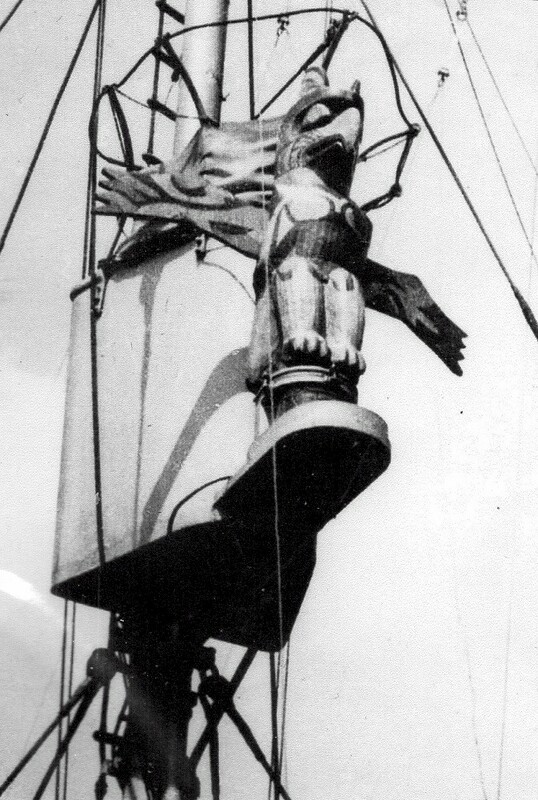 The ships engineers made new wings and repaired and painted the Thunderbird to the best of their abilities and it was attached to HMCS Quesnel's mast where it remained until the end of the war. 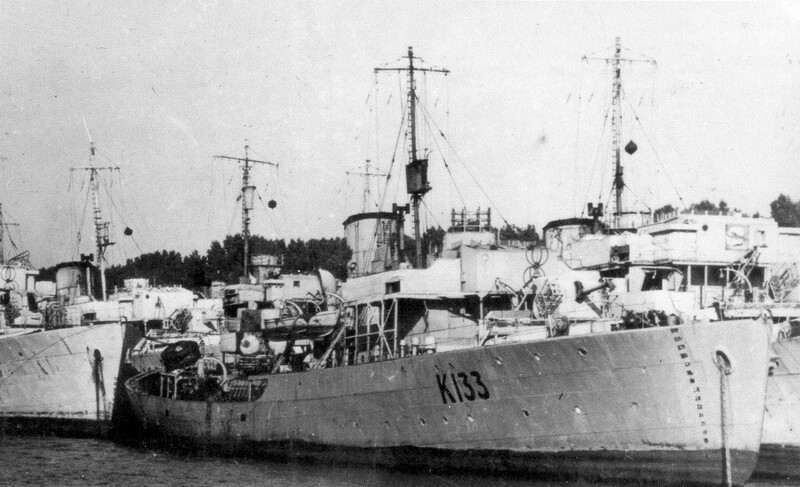 In 1945, HMCS Quesnel was paid off at Sorel, Quebec and the Thunderbird disappeared and its whereabouts are unknown. The Thunderbird was a grave marker for a man named Michael Dutch, a member of the Kwakwaka'wakw First nation, who passed away about 1922. The surviving sailors of HMCS Quesnel would like to see the Thunderbird returned to its proper place in the graveyard. A search was started back in 2007, but they never were able to find the Thunderbird. If anyone has any information on the Quesnel's Thunderbird, please send me an EMAIL. Lets see if it can be found and returned it to the Kwakwaka'wakw people. Please share the link to this page on your social media account. Maybe modern technology can help make this search a success.